The recipe for these delicate Christmas snow flower cookies use red and green gum drops for their centers. With its light as air texture, this meringue cookie is perfect for the holidays. 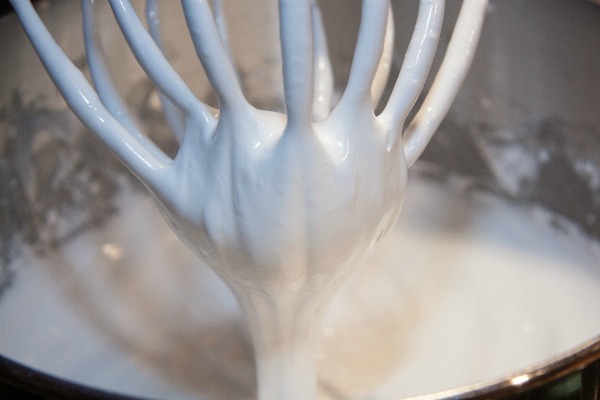 A meringue cookie is made with mainly egg whites and this makes it a naturally low calorie sweet treat. These Christmas cookies are easy to make and very low in calories. They have a delicious meringue base that is so light and fluffy when you bite into the cookie. And the red and green gumdrops make the perfect addition to this delicious cookie to set the holiday mood. 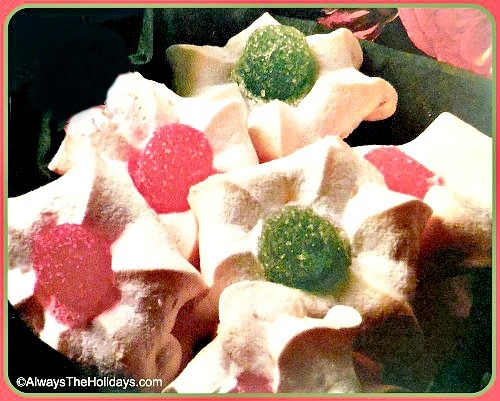 Just five ingredients are all that you will need to make these Christmas snow flower cookies. The key to perfection is to make sure that you have a very slow oven. Meringues taste best when they are allowed to harden at a super low temp. The recipe works best if you bring the egg whites to room temperature before you start. Once you add the cream of tartar and vanilla extract, just beat the egg whites with an electric mixer until you get soft peaks forming. Gradually add the sugar slowly, about 1 tbsp at a time, beating at a high speed. Keep beating until stiff peaks form and the sugar is almost dissolved. Spoon the meringue mixture into a decorating bag with a large star tip fitted into the opening. Pipe stars that are about 1 1/2 inch wide onto a cookie sheet. Place one gum drop in the center of each meringue. This gives the cookies a flower like shape as they cook. Bake for 15 minutes or until the cookies just start to turn golden brown. The trick for finishing off these cookies with the perfect texture is to turn off the oven at the end and leave the door open. This will allow the cookies to dry in the oven where it is still a little warm. I baked my cookies on a silicone baking mat but parchment paper works well too. The finish of both products insures that the cookies are easy to remove after baking and gives you a super easy to clean up too. This little meringue cookie is light and crisp with a hint of sweetness. 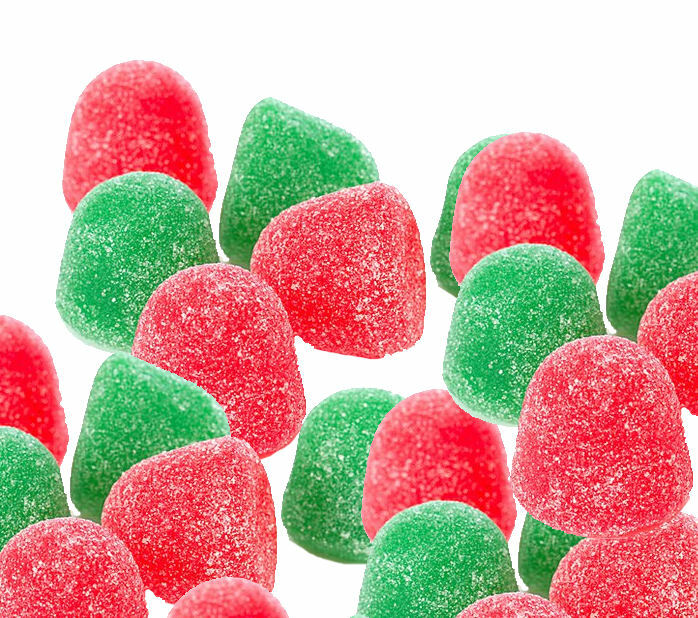 The gumdrop center gives a burst of holiday flavor that can’t be beat. 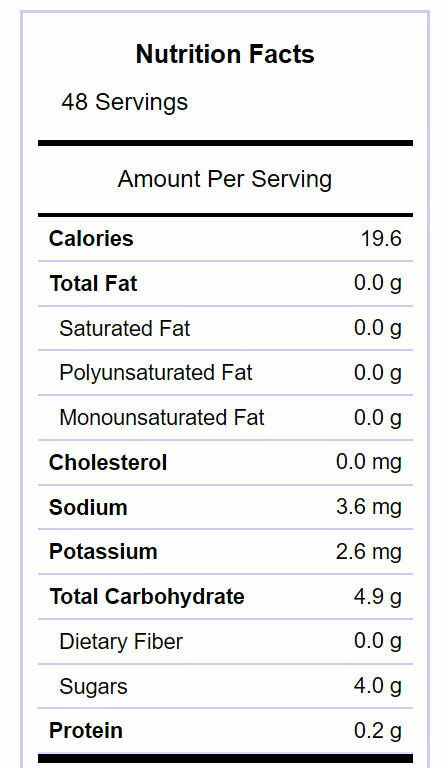 Each cookie has just less than 20 calories. Why not have a few today? These light and fluffy meringue Christmas cookies will put you in a holiday mood. Bring the egg whites to room temperature for about 30 minutes. Add the vanilla extract and cream of tartar to the egg whites. Beat with an electric mixer until soft peaks form. Place one gum drop in the center of each meringue. Bake for 15 minutes or until the cookies just start to turn golden brown. Turn off the oven, leave the door open and let the cookies dry in the oven for about 10 minutes. Remove to a wire rack and cool. Store in an airtight container. Makes about 4 dozen cookies. Recipe adapted slightly from a Better Homes and Garden recipe.